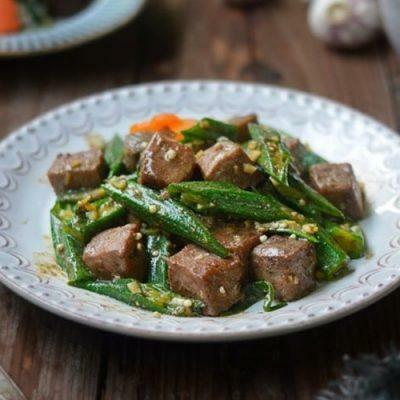 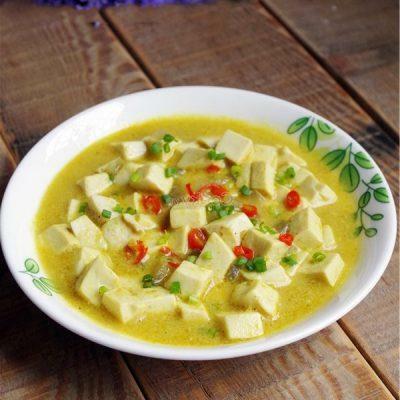 How to cook tofu with curry is an easy recipe to have a fragrant and tasty tofu dish. 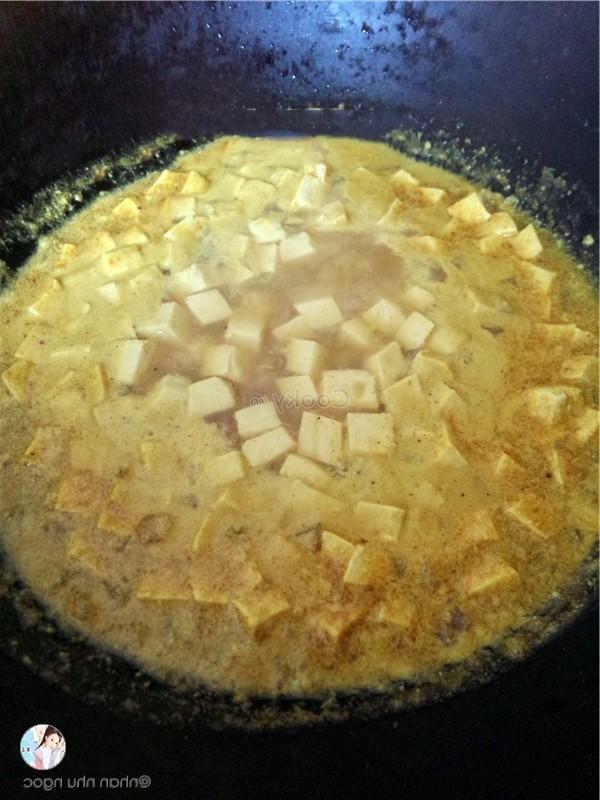 Besides, in such cold days, tofu with curry is very suitable to be on our menu for our family’s meals. 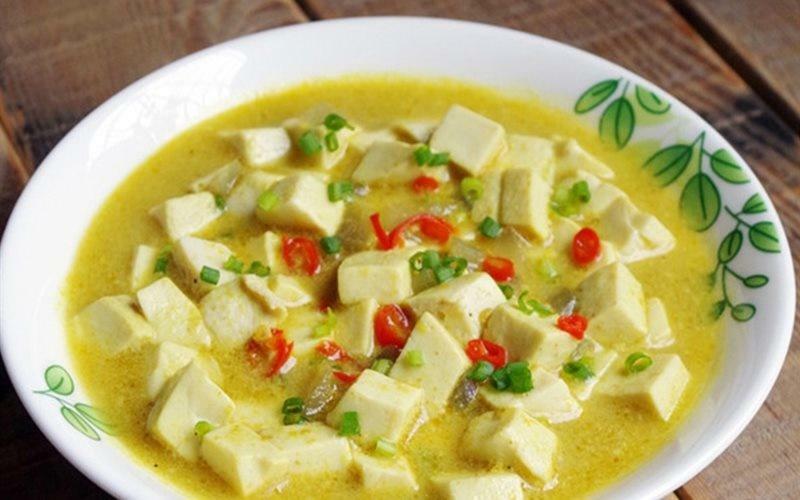 Also, the savor of tofu along with the spicy taste of curry is a harmonic combination, bringing an extremely attractive taste. 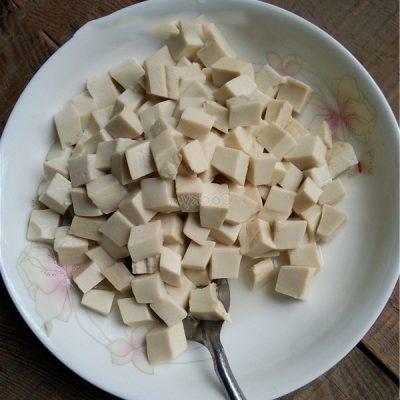 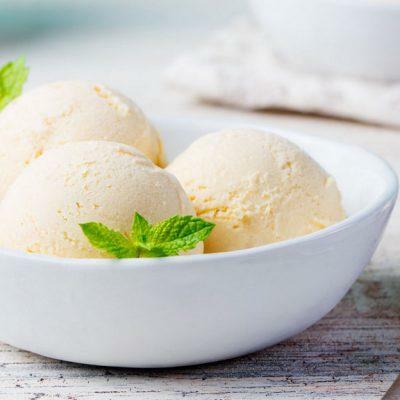 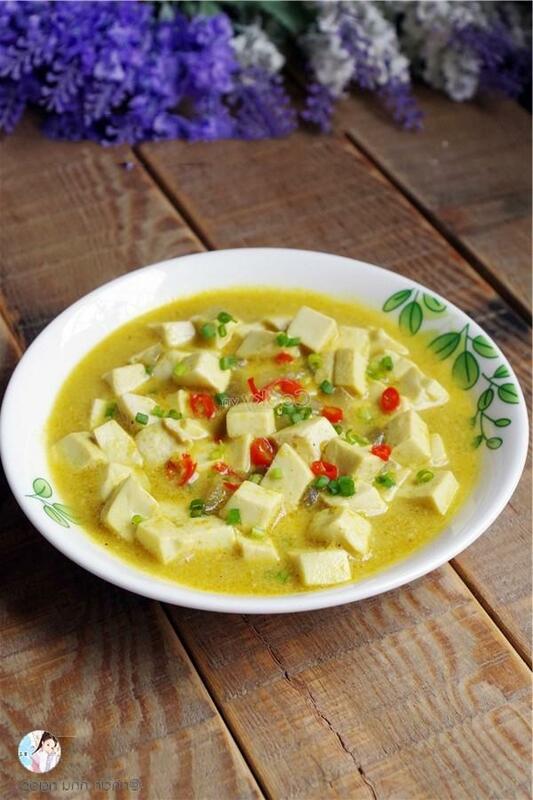 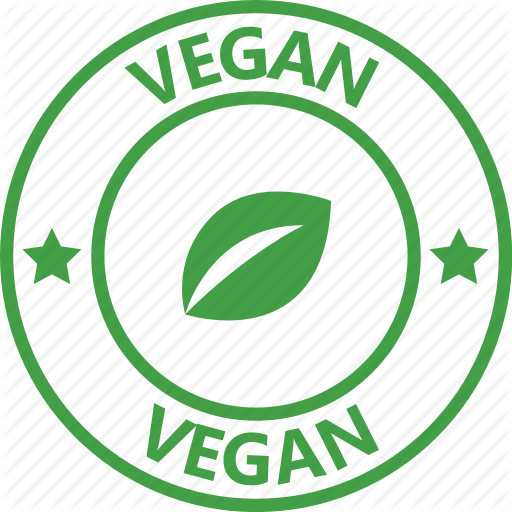 Moreover, for those who are on a diet, how to cook tofu with curry is a good choice of recipe to lose weight as well. 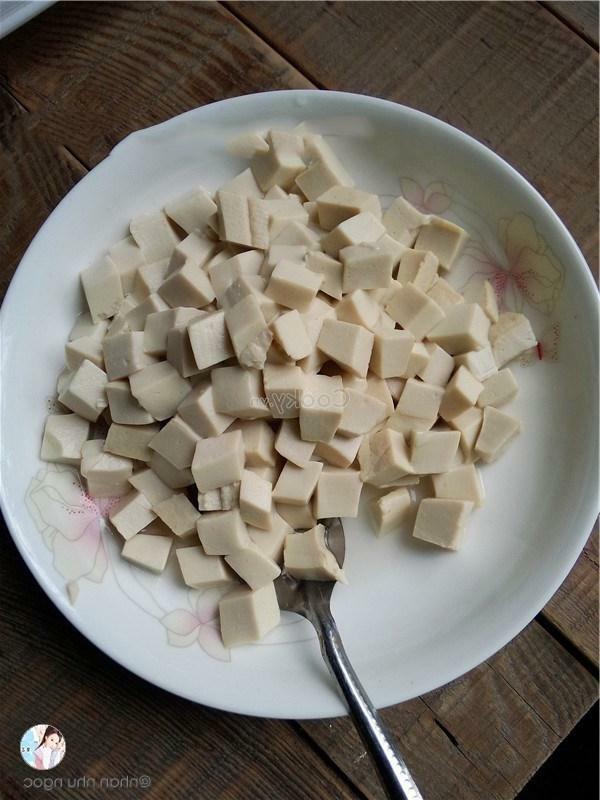 Wash tofu and dice it into small cubes. 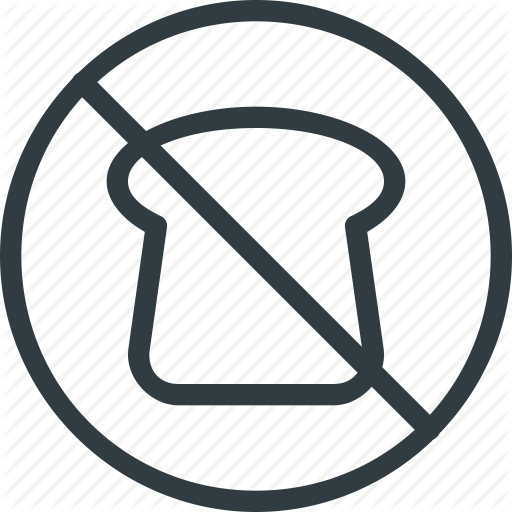 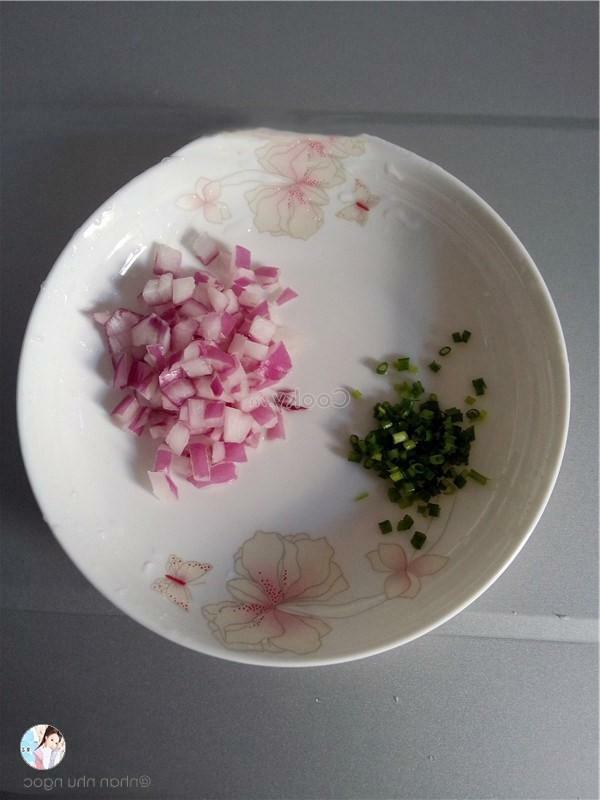 Wash green onion and chop it. 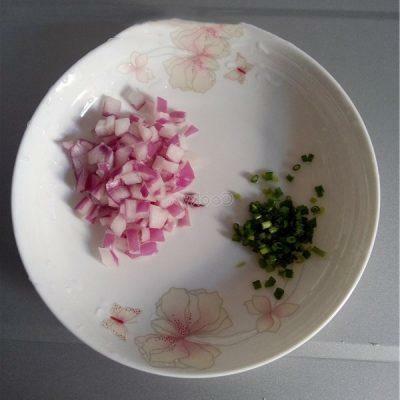 Next, wash green onion and onion, then chop them finely. 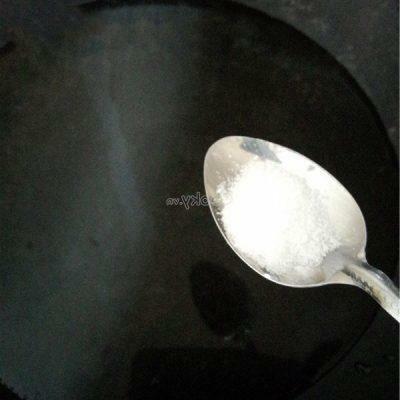 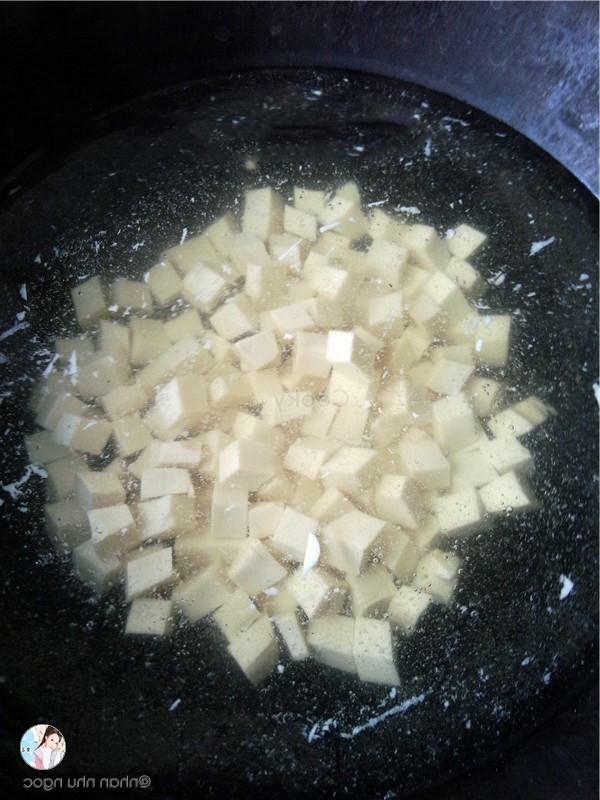 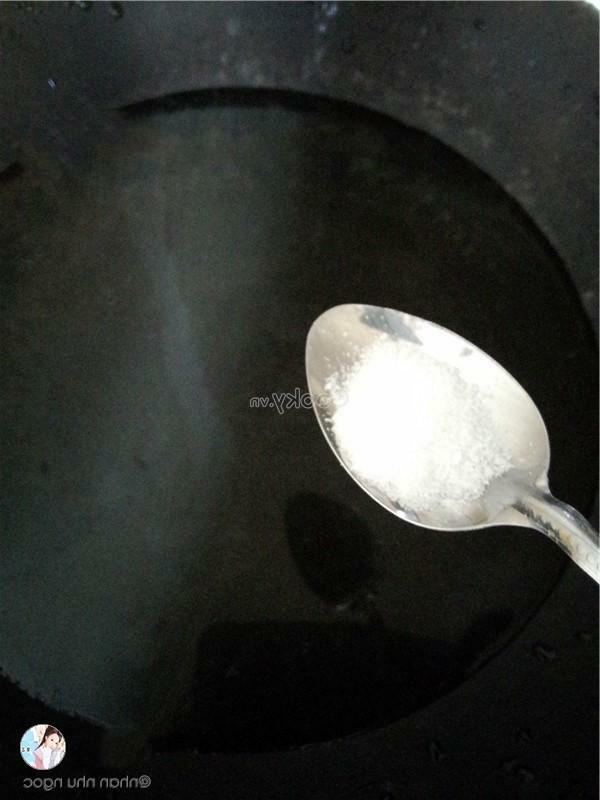 Boil 200 milliliters of water with salt and add tofu pieces into the pot to cook them in about 3 minutes. 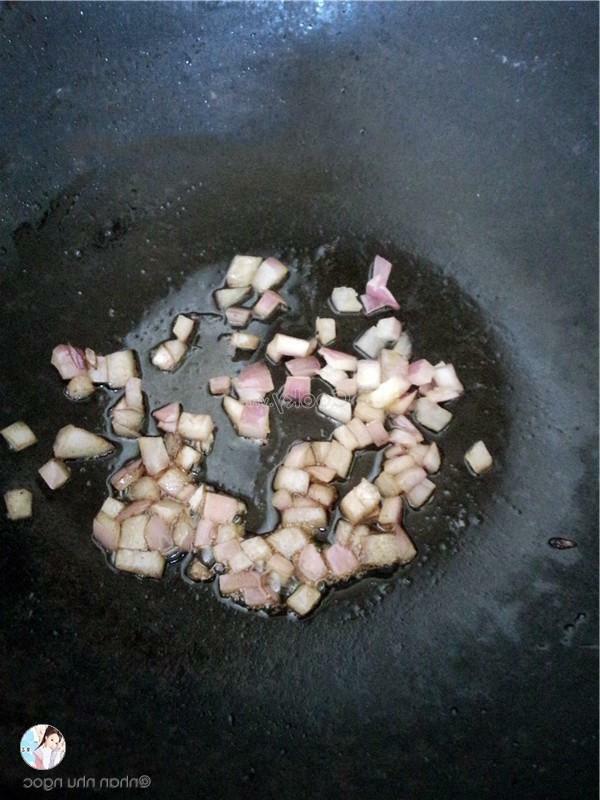 Then take them out. 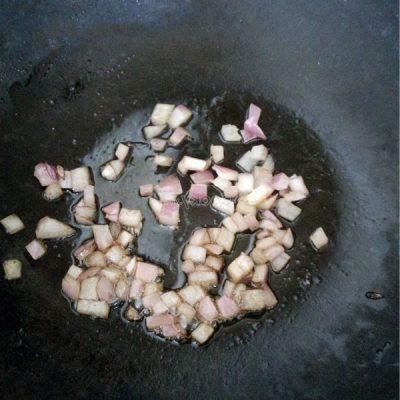 Cook butter in a pan to make it melted and then add green onion and onion into the pan to stir-fry. 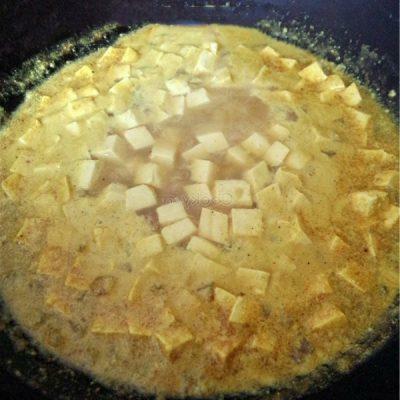 Then, add curry powder to stir-fry. 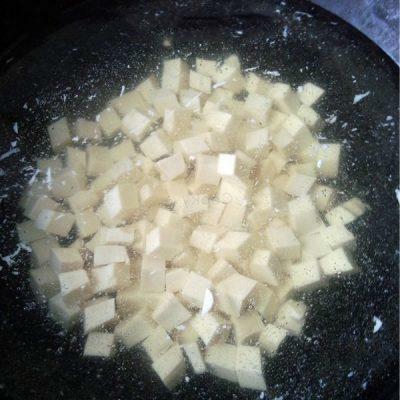 After that, add 100 milliliters of water, and 30 grams of coconut milk into the pan and cook until the mixture boils.